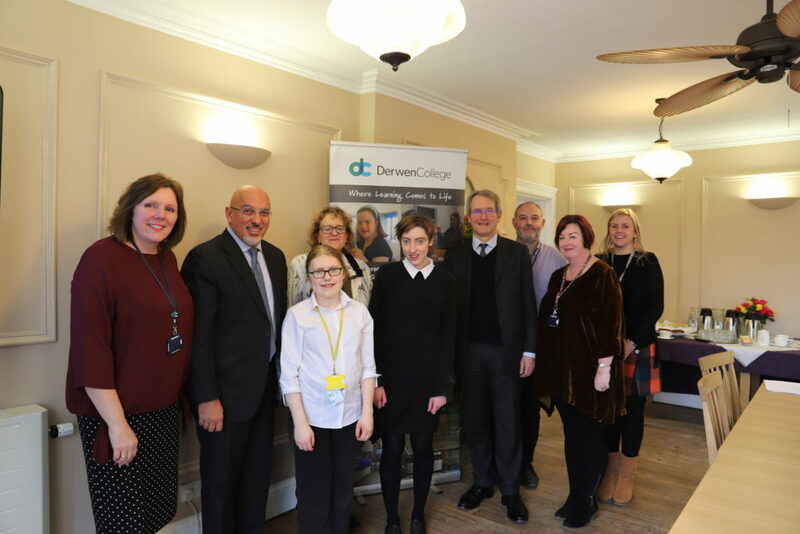 Children and Families Minister Nadhim Zahawi and Owen Paterson MP recently visited Derwen College, in Shropshire, to see first-hand how a leading specialist college changes lives. 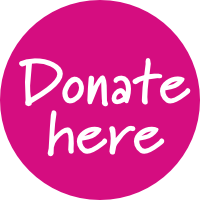 Nadhim Zahawi MP is the Parliamentary Under-Secretary of State for Children and Families with responsibilities for young people with special educational needs and disabilities (SEND) up to 25 years old. The visit provided an opportunity for the Minister to meet with Derwen senior leadership team to discuss issues such as the Children and Families Act and its impact on young people with learning difficulties and disabilities, the future of specialist education as well as highlight the huge benefits of learning at specialist colleges such as Derwen. The Minister also had a tour of the college meeting students at work in the Premier Inn Training Centre, Food Centre, Orangery Restaurant, Karten Print Centre and the Garden Centre. He described the work in the Food Centre as “phenomenal” and student Millie Clarke showed the Minister how the equipment worked in the Print Centre. He also went on say how professional and fantastic the students work is in the commercial outlets. “This was a really useful opportunity for us to discuss first-hand with the Minister and Owen Patterson MP the issues around specialist education. 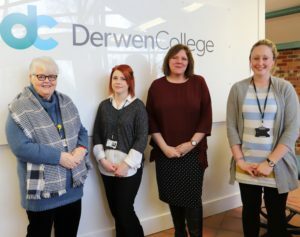 This visit to Derwen followed on from a meeting that we had last year with the Minister at Parliament and we will continue to drive forward change and ensure the voice of the specialist college is heard” said Ruth Thomas, Director of Strategy Derwen College. 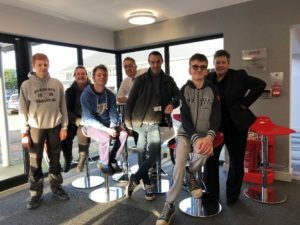 Meryl Green, Principal at Derwen also added “It was fantastic to show the Minister around the commercial outlets at the college and for him to meet and chat with the students”. Kirstin Royle Trust trustee Arran Holdsworth hands over the unique oak award which will be awarded to a student who has challenged themselves through the Duke of Edinburgh’s Award scheme. Derwen College is to award a trophy to an intrepid student each year in memory of a much-loved adventurous young woman. The Gobowen specialist college, has been given the award – which will be presented every year to a student who has challenged themselves through the Duke of Edinburgh’s Award scheme ­– by The Kirstin Royle Trust. After 25 years, the charitable trust is wrapping up its activities, and wanted to leave a lasting legacy with the college in the form of an award in her name. 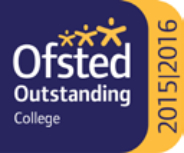 “We specifically chose to donate the award to Derwen College due to their involvement with the trust in the past. Derwen College students participated in residential weekends at the Raymond Priestley Centre in the Lake District where they were encouraged to challenge themselves and embrace new opportunities,” explained trustee Arran Holdsworth. 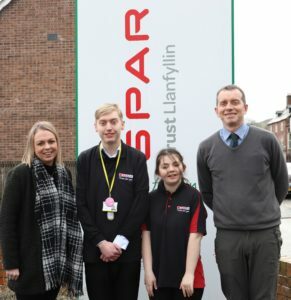 “We hope the award will be handed out for endeavour and personal achievement for a student who has stepped out of their comfort zone and achieved something they did not think would be possible for them,” he added. 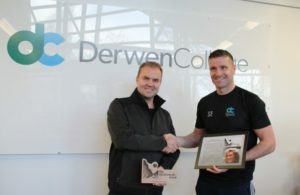 Sports and Duke of Edinburgh’s Awards co-ordinator Steve Evans said that Derwen College felt privileged to be asked to award a trophy in Kirstin’s name. 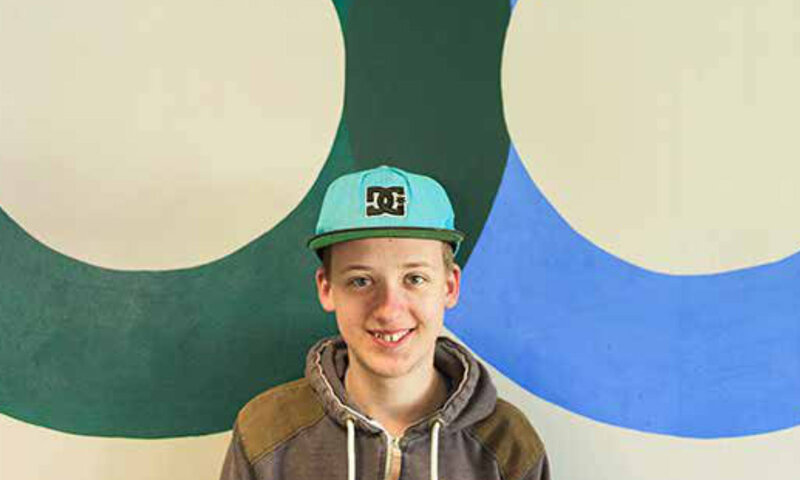 “Derwen have been linking with the Kirstin Royle Trust for the last few years as the trust has been part funding the Duke of Edinburgh’s Awards residential placement at Lake Coniston each summer,” he said. Derwen College is a specialist college for young adults with learning difficulties and disabilities. 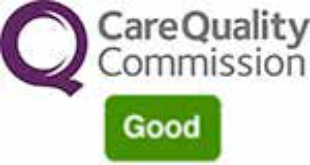 The college offers students the opportunity to learn new skills in real work environments and to learn life skills which will enable them to live as independently as possible. Last year, 60 learners from the college completed their D of E awards at Bronze, Silver or Gold levels.